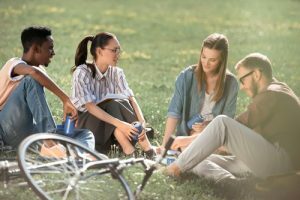 Are You a Student-Traveler? This Service is for You! Leaving your hometown can be stressful and, also, can take a lot of time to prepare. Students usually select the nearest universities to admit but there are cases when you applied for a university and got admitted but the distance is big. You don’t have any other choice than to relocate to that city, right? Indianapolis Car Transport is here to help you move your vehicle from your hometown to the city of your university or back. It doesn’t matter for us how many miles are there and what are the zip codes for any of the direction. Just trust us your car and go o the university of your dreams! And other car transport services that we do nationwide! Indianapolis Car Transport is reliable! Our top priority is always the safety of the vehicles we ship. Our drivers are all experienced and have proven to be reliable. We load, secure and unload vehicles following all DOT rules. We also use the safest routes for our Tucson auto shipping. Our car carriers also provide insurance for each vehicle they ship. It is not that we give low quotes just to attract clients and make them book with Indianapolis Car Transport. It is not even that we have the lowest prices. It is that our Inidanapolis auto shipping services are really affordable comparing to other carriers who are able to provide the same level of service. We also beat other carriers’ prices. Additionally, you can always count on us for a discount. We can ship any vehicle! First of all, we can provide Indianapolis car shipping for all types of vehicles. We do Bus Shipping and Trailer Moving, Motorcycle Transport and Heavy Hauling. Moreover, we can ship vehicles in any condition: be it an operable or non-operable one. We work with both personal and commercial vehicles. 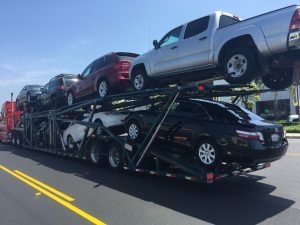 Contacting Indianapolis Car Transport is easy call us at (317) 282-0928 or get a free quote online on our website. You can be sure we provide the service you need and that your vehicle is in safe hands.